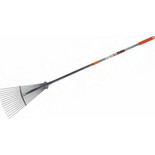 Adjustable teeth for fine or coarse raking. 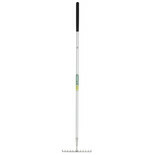 Comfortable plastic grip with hanging hole. 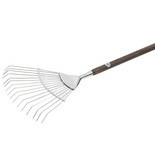 This Draper garden rake is fitted with a fully hardened, tempered and polished 12 tooth head, securely fitted to a tubular steel handle attached with a soft grip for user comfort. 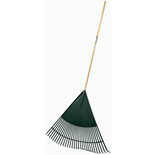 The Draper 3083LP Leaf Rake features a 30 tooth design securely fastened to a varnished natural wood handle. 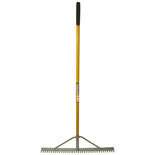 Ideal for raking bark, wood chippings, leaf mulch and lightweight gravels such as pea shingle, etc.